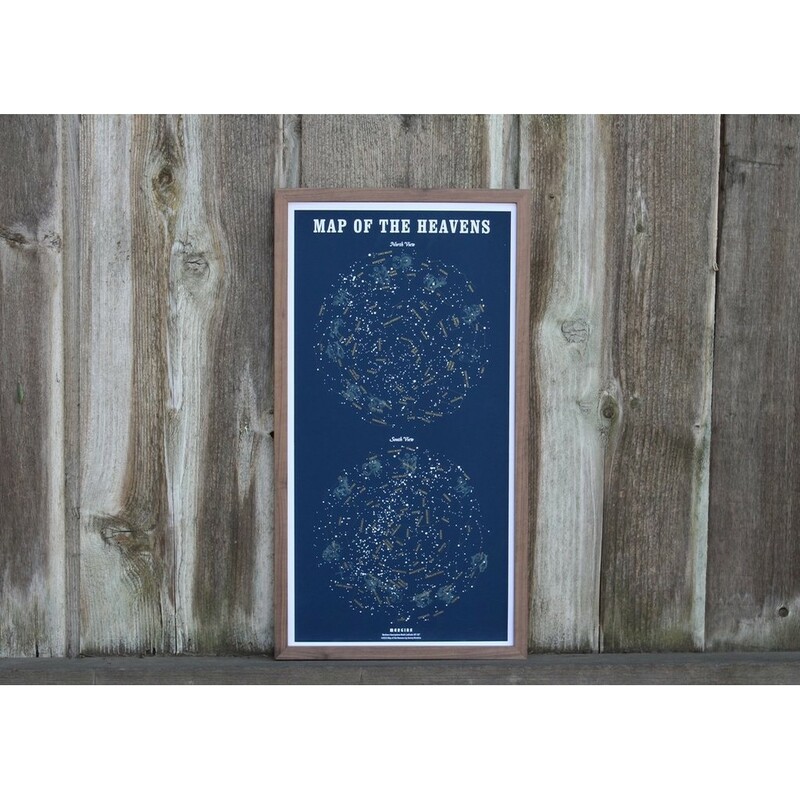 Star map showing views of the night sky with major constellations. Three color silkscreen print. Zodiac images printed with phosphorescent glow ink.